Generators save the day when people suffer from frequent electrical failures. A power outage, disrupting the daily lives, is enough to send a distress call. Power outages are a hindrance and can be quite problematic if experienced frequently. People of Bernardsville in New Jersey have had their share of power failures owing to the city’s thunderous weather and various other reasons. We at Bloomfield Cooling, Heating and Electrical provide all services related to generators, from buying to installation and even maintenance. We give you a chance to upgrade to stand-by generators. Selecting a generator can be a tricky task owing to the terms involved which can be confusing to a layman. Also there is an array of factors to be considered while buying a generator. A wrong generator could cause significant complication resulting in unnecessary costs. We relieve you of this arduous task. All you have to do is book an appointment with us. Firstly, we conduct a survey of your premises to compute your power requirements. We also assess other factors involved to ensure that the generator is an apt fit to your premise. Next part of owning a generator is the installation. Installation of a generator can be a complicated task if tried by a novice. Leave this task to the professional crew of Bloomfield. Generators require servicing and maintenance on a regular basis. 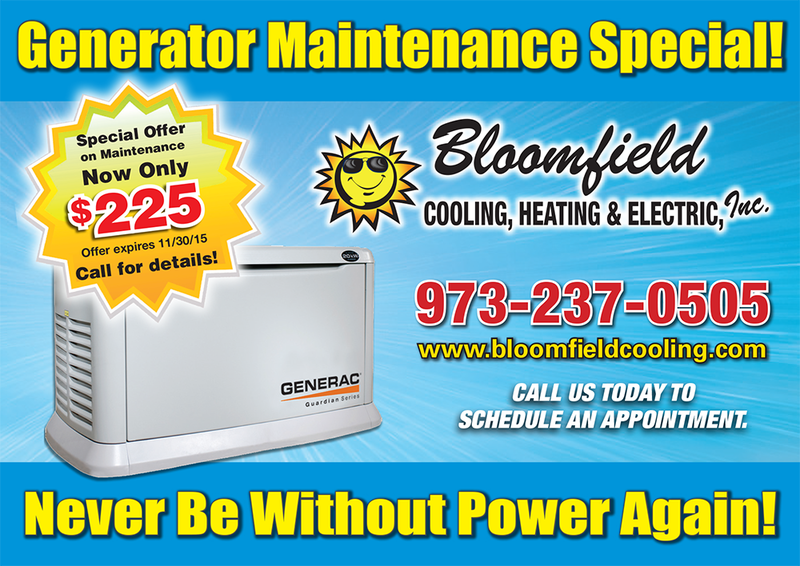 We, at Bloomfield, let you take backseat and ensure efficient running of your generator through timely servicing. We have a reliable crew of qualified and experienced electricians. Our electricians are certified, licensed and specially trained for generator servicing. We have 24 hour on call facility to ensure our full support and assistance in your time of distress. We follow all safety rules and regulations to ensure your safety along with that of our employees. We use cables and materials of high quality and in compliance with industry norms. We offer our services at the most competitive prices. We ensure reasonability and affordability while charting our prices. We also provide 12 month special financing with approved credit. Bloomfield Cooling, Heating and Electrical is reputed, family owned and operated company serving residents of Bernardsville, New Jersey since 1988. 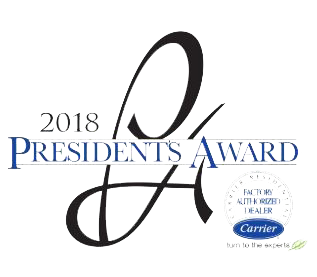 Bloomfield is award-winning contractor with awards like the Super Service Award from Angie’s List for the past ten years and the Best of Essex Readers’ Choice Contest in the category of best HVAC and electrical company to their name. Contact us to get a customized proposal.